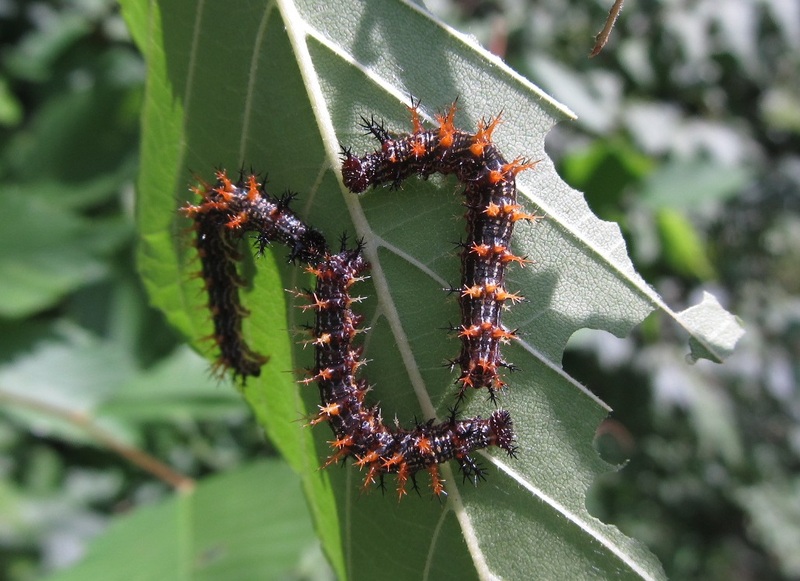 Question mark butterflies lay their eggs in hackberry and elm trees. 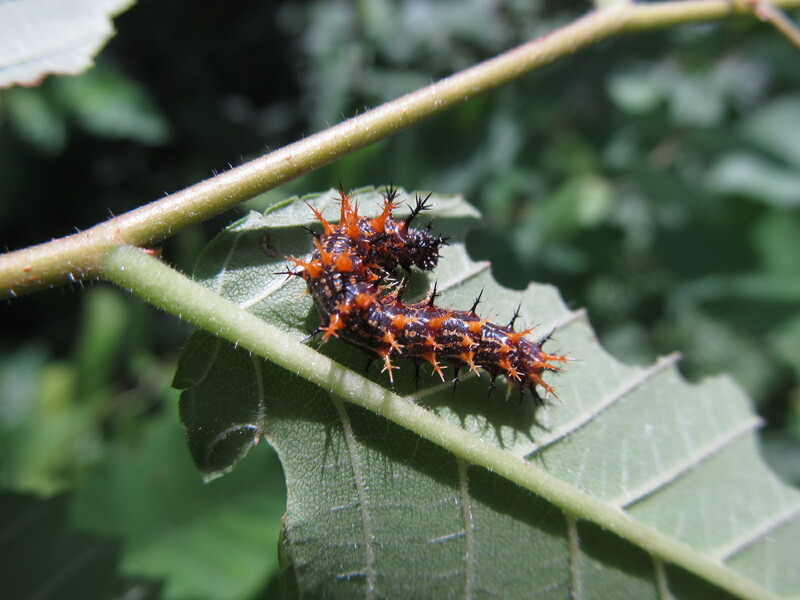 I just happened to be in the right place at the right time to spot these caterpillars on the underside of an elm leaf. The spines would definitely be a deterrent to predators. 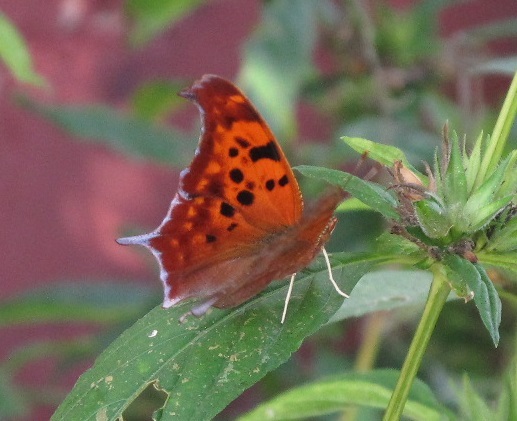 Question mark butterflies have a silver question mark on the underside of their hindwings. 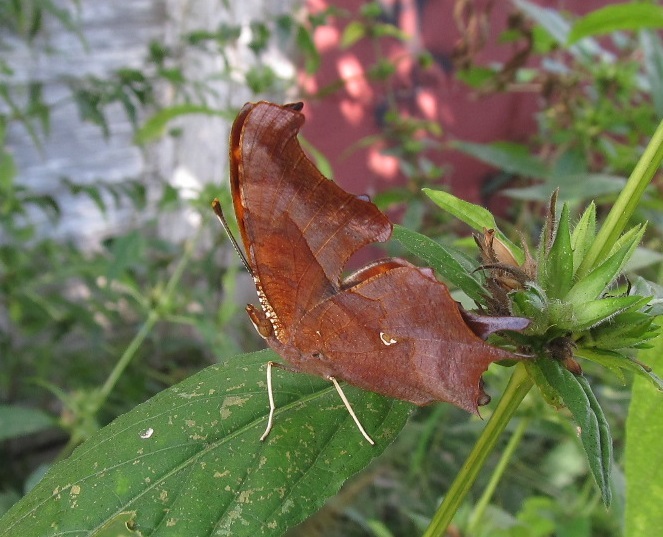 Comma butterflies are similar in appearance and have a comma on the underside of theirs. 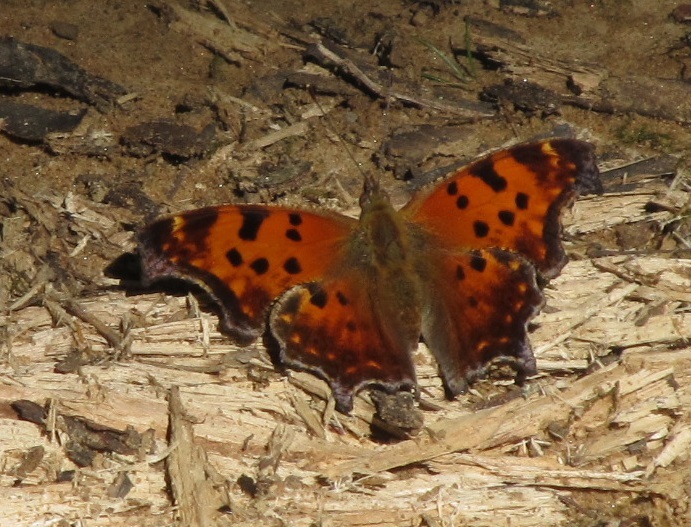 This shows the question mark on its hindwing. 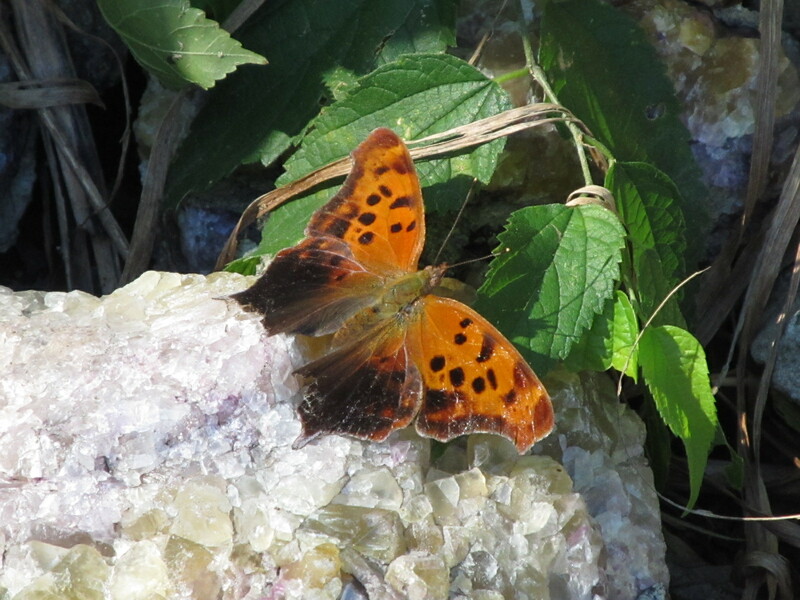 This picture shows the fall form of the comma butterfly. I couldn’t one that showed the comma on the underneath side.